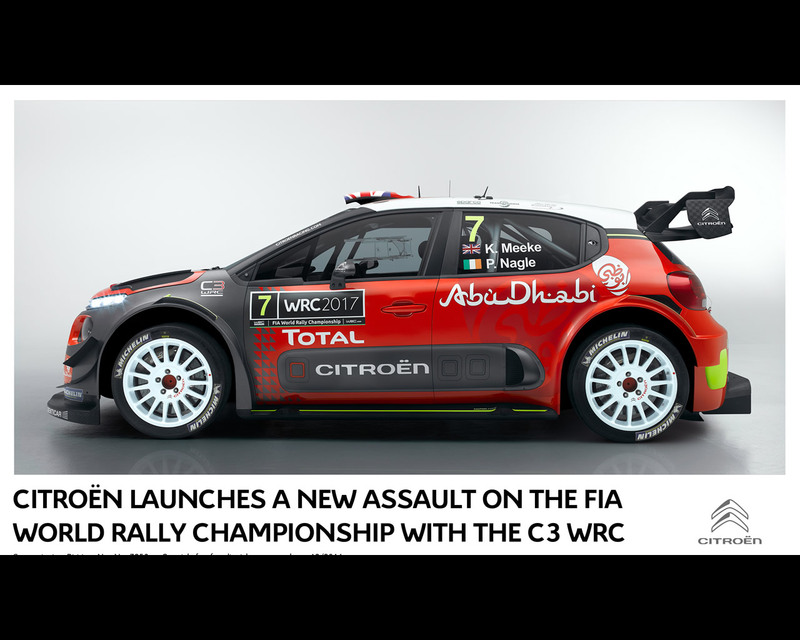 One month before the 2017 FIA World Rally Championship gets underway at Rallye Monte Carlo, Citroën Racing officially unveils its C3 WRC in Abu Dhabi. Complying with the new FIA regulations, which sees the introduction of a new generation of World Rally Cars, the C3 WRC heralds the return of Citroën, with eight manufacturers’ titles and no fewer than 96 wins to the brand’s name. 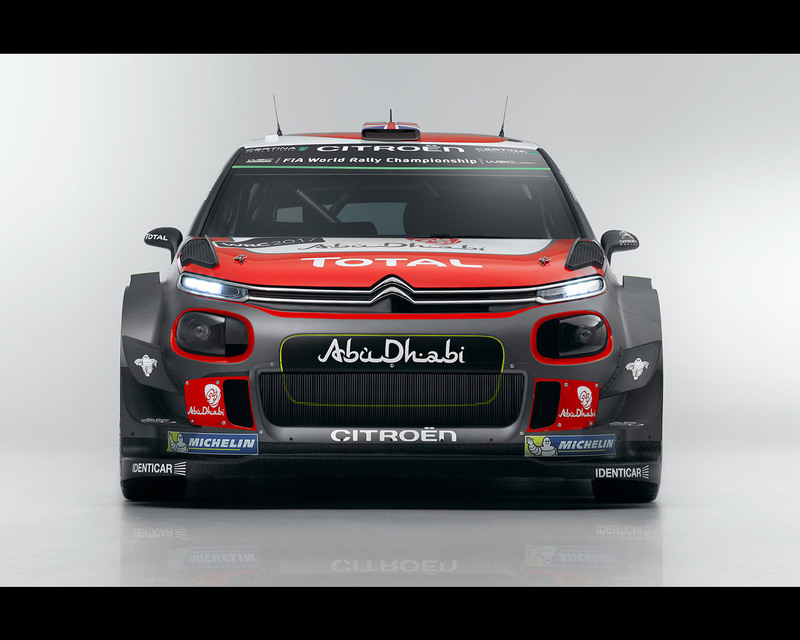 For the 2017 season, the Citroën Total Abu Dhabi WRT will enter between two and four C3 WRCs for its crews; Kris Meeke/Paul Nagle, Craig Breen/Scott Martin, Stéphane Lefebvre/Gabin Moreau and Sheikh Khalid Al Qassimi/Chris Patterson. Since it was founded in 1919, Citroën has always impressed with its capacity to tackle and pull off bold, sporting challenges. In the 1950s, the brand claimed its first major victories in rallying. Whilst never achieving the success they deserved, the Visa 1000 Pistes and the BX 4TC – both compliant with the famous Group B regulations – ensured rallying became hard-wired in Citroën's DNA from the start of the 1980s. In 1989, the former racing department was renamed Citroën Sport and took up a sizeable challenge, to win the Paris-Dakar Rally. 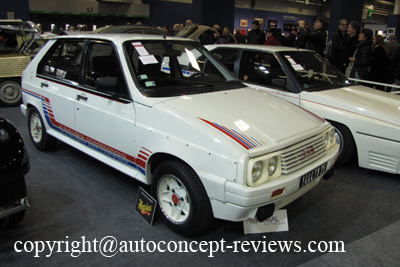 The brand enjoyed success right from the word go and on its first attempt in 1991, won the rally with Ari Vatanen. Three further victories, secured by Pierre Lartigue, would follow in 1994, 1995 and 1996. Kings of the desert, the ZX Grand Raids won 36 out of their 42 races, and were five-time winners of the FIA Cross Country Rally World Cup. The outline of a WRC programme began to take shape with the Xsara Kit-Car, as Philippe Bugalski beat a host of World Rally Cars to win the 1999 Rally Catalunya and Tour de Corse. The 'Red Army' then decided to move up a gear and the new Xsara WRC won the 2001 Tour de Corse driven by Jesus Puras. 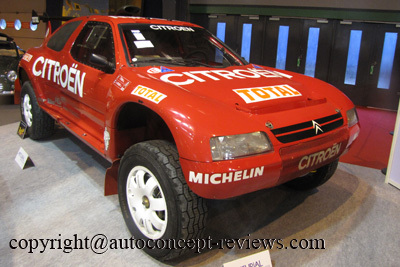 After spending the 2002 season preparing its entry, Citroën began its first full campaign in 2003. Monte Carlo. Citroën won its first Manufacturers' World Championship at the end of the season, successfully defending the title for the next two years. Sébastien Loeb and Daniel Elena began their incredible series of nine consecutive world titles in 2004. 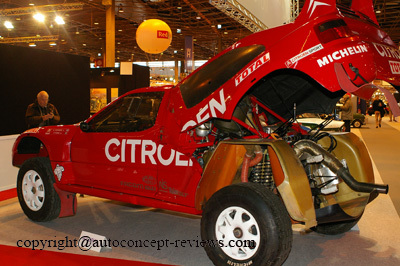 At the end of the 2005 season, Citroën decided to put its sporting commitment on hold for a year, whilst it developed the C4 WRC. This new car would enable the brand to add another three titles to its competitive record between 2008 and 2010. 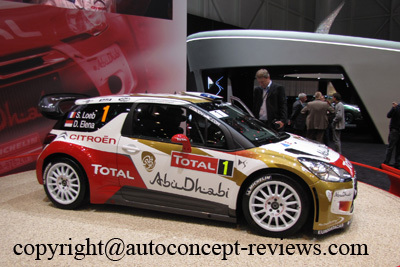 2011 saw the introduction of a new generation of World Rally Cars. The DS 3 was chosen to keep the winning run going and it did just that, with two more Manufacturers' titles in 2011 and 2012. 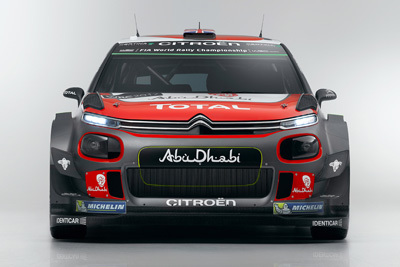 As this on-track adventure ends, Citroën returns to the WRC with New C3, a symbol of the brand's commercial offensive. A new chapter is about to begin. YVES MATTON: "WIN RACES IN 2017 AND THEN GO FOR THE WORLD TITLES IN 2018"
How did Citroën's return to the WRC come about? "The decision stemmed from several factors. We were coming to the end of a three-year cycle in the WTCC, just as the brand was preparing to launch a strategically important new product, New C3. At the same time, the FIA was in the process of putting together new regulations for the WRC. As the C3 matched the definition perfectly, well, everything just fell into place. 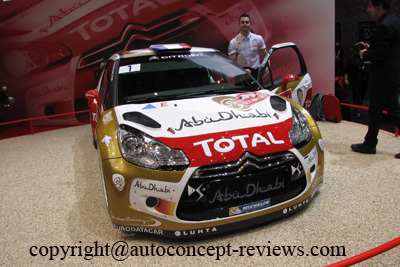 This coming together of circumstances will help Citroën make the most of its involvement in motorsport." What are the challenges posed by the new regulations? "At first glance, you could easily think that this is just a major upgrade to the previous regulations. But it's much more than that; the increase in engine power, the growing influence of aerodynamics and the return of the centrally controlled differential are the three major changes. We have applied our unique expertise on these three points, derived from our previous World Rally Cars and our recent experience in track racing. That has helped us to go quicker than we might otherwise have been able and above all, to go further in our thinking." How do you assess the work done since the start of the project? “It’s fairly staggering. The timing was such that our development schedule was more compact than on any of our previous programmes. Even with our substantial experience, we couldn't afford to lose any time in designing and developing the car. The team's know-how ensured we were able to rack up the miles without any serious issues. Without this expertise, we would have been unable to stick to the schedule." Do you see any group B traits in the Citroën C3 WRC? 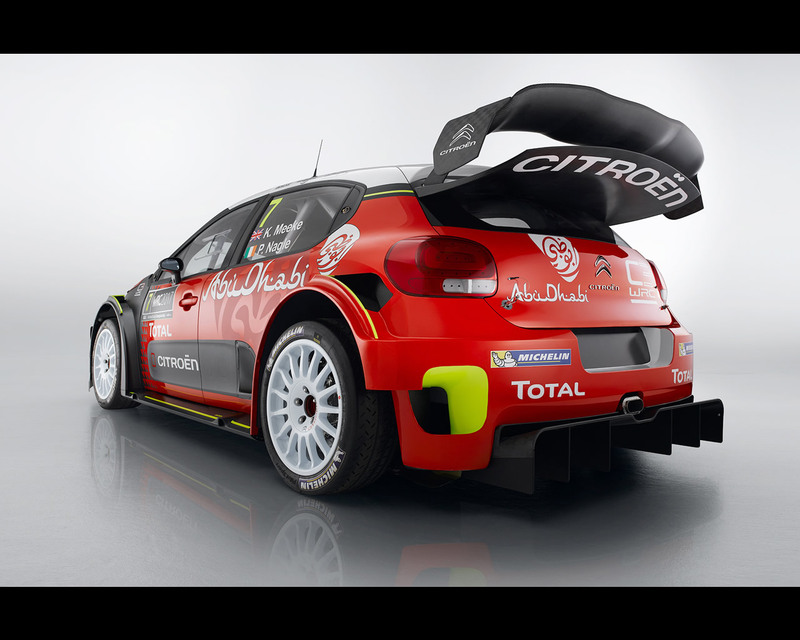 "The C3 WRC certainly recalls the cars that enthralled a generation of rally enthusiasts, including me. Thirty years on, fortunately everything has changed, especially in terms of safety. But the sense that the drivers will need to tame an aggressive, roaring beast is something that we will certainly see next season. When I saw Kris Meeke drive the car for the first time in testing, I said to myself that we had achieved our goal. There is an extremely spectacular side to this new generation of WRCs." Can these cars give new impetus to the WRC? "The previous WRCs were often criticised for lacking aggressiveness at certain points. I think rallying remained spectacular in terms of the scenery and backdrop of the events, but the cars undoubtedly lacked a wild, crazy side. I think we'll see that again now. I hope that the changes will stimulate interest among younger fans and will have a positive effect on the championship." What role has Kris Meeke played in the development of the Citroën C3 WRC? "In a word, vital. We needed a leader, who had plenty of technical experience and knowledge in terms of development. Kris has been developing racing cars for the PSA Group for more than ten years. He is a trained engineer and that means he has been able to provide detailed analysis at certain points. He is undoubtedly one of the main reasons we were able to stick to the schedule and meet our goals." Why did you choose Craig Breen and Stéphane Lefebvre? "To meet our first goal, which is to win rallies in normal racing conditions in 2017, we already had Kris under contract. He showed throughout the 2016 season that he is capable of fighting for victory on every surface. For the other crews, there were then two ways we could go. We could either go for an experienced driver with established pace, who might challenge Kris for the role of team leader. Or we could proceed in line with the vision of the brand, which is to have a different approach that puts faith in talented young drivers. 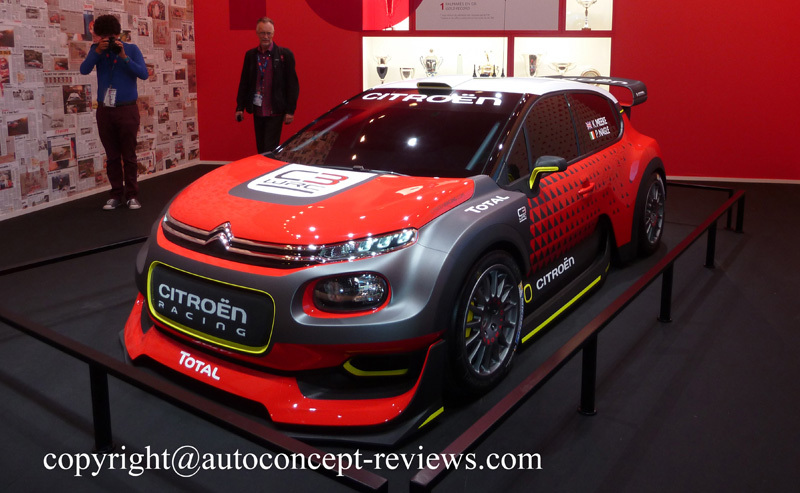 Having said that, it's also an approach that is entirely consistent with what Citroën Racing has been doing for more than twenty years. Craig and Stéphane's results have shown that we have two very talented, promising drivers in our stable. So we decided to give them their chance. In the medium term, they are the future of the WRC." What are your ambitions for the next few seasons? "In 2017, we want to win races in normal conditions, by beating our competitors. And then in 2018, our goal is to bring home at least one of the world titles." 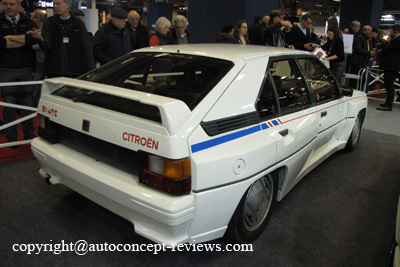 Does Citroën's history in the WRC mean there is added pressure? well-established in this environment as before and we'll need some time to settle back in. As ever, we won't be getting carried away. We'll treat this challenge with the respect it deserves." Since they first appeared in 1997, World Rally Cars have regularly undergone changes to their definition, in order to manage performance or control costs. The most significant changes were made ahead of the 2011 season with more compact models with 1.6 litre direct injection turbo engines. The 2017 season sees the introduction of a new generation of cars, designed to be the fastest and most spectacular ever seen on the stages of the World Championship. In all areas, the Citroën C3 WRC has pushed back the boundaries of what has been done in the past. For example, the power-to-weight ratio of the Citroën Racing engineers' latest creation is 3.1kg/bhp, compared with 3.8 for its predecessor. Since improved efficiency is not only a matter of figures, the dramatic technological changes can also be seen in the wider wings, the substantial aerodynamic features and the four-wheel drive that now comes with a centrally controlled differential. In the design office, evaluation of the new regulations and the structural design of New Citroën C3 began in April 2015. This work was stepped up and specified once the programme was given the go ahead by senior management at the PSA Group. 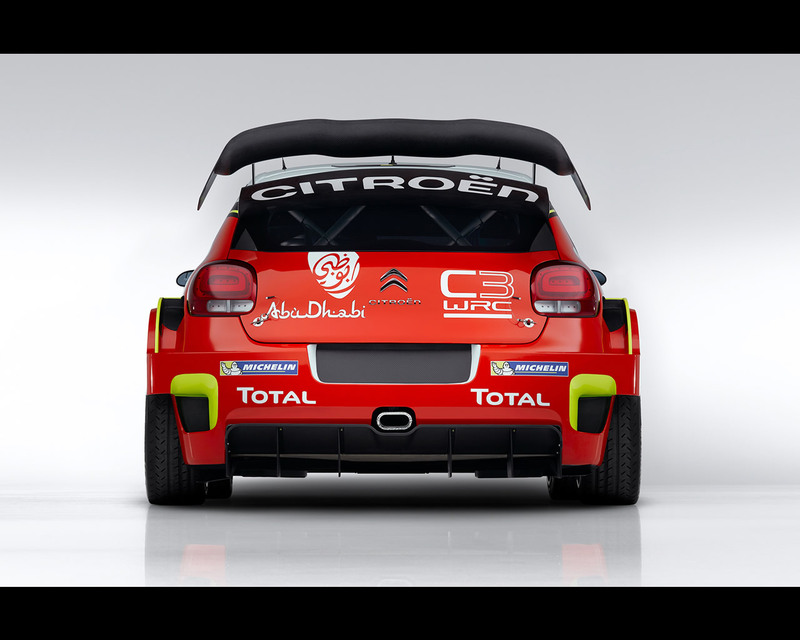 On 19 November 2015, when the sporting future of Citroën was announced, the C3 WRC already existed virtually speaking, at least, on the CAD workstations. Very quickly, work began on building the first prototype in the nearby workshops. On 11 April 2016, Kris Meeke drove the car on its first outing at the Versailles-Satory track. Shortly afterwards, the team set off for the south of France, where the first test session was held on the gravel roads around Château Lastours. The car was decorated with a special "camouflage" livery, designed to hide the styling features of New Citroën C3, which had yet to be unveiled at that point. Development work continued on a variety of surfaces, with around four to five days of testing each month, as the team looked for both reliability and performance. At the end of June, a key stage was reached with the delivery of a second car, dedicated to tarmac testing. Behind the scenes, work in the design office continued, introducing new upgrades. Several wind tunnel sessions were also held, before the shape of the bodywork was finalised. Confirmed as a works driver for Citroën Racing until 2018, Kris Meeke conducted the majority of the testing. In each session, his work was corroborated by Craig Breen and Stéphane Lefebvre, who took over driving duties from the Northern Irishman on the final day of the tests. Altogether, the Citroën C3 WRC completed ten test sessions and a total of 9,500 kilometres. The final, critical stage before the car's competitive debut, homologation by the FIA, was completed on 13 December 2016. Citroën Racing has been developing and building its own engines since 2010, in line with the FIA Global Racing Engine (GRE) regulations. The architecture, based on a four-cylinder 1.6 litre direct injection turbo engine, allows manufacturers to use their technology across several championships. 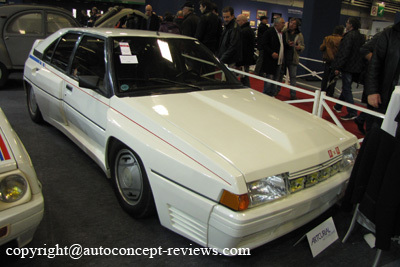 For example, Citroën used its experience in the WRC to design the engine of the Citroën C-Elysée WTCC. And now, it’s the information and knowledge acquired whilst spending three seasons competing on the world's racetracks that has been used to design the engine of the Citroën C3 WRC. As with its two previous iterations, the Citroën Racing engine has been built using a machined, aluminium cylinder block. This finely crafted piece of metalwork must meet strict rules as regards minimum weight and the height of its centre of gravity. The surge in performance expected in 2017 can be explained by one main factor: the wider turbo restrictor, which has increased from 33mm to 36mm. The power has been boosted by around 20% to 380bhp. However, the turbo pressure limit of 2.5 bars means that the torque remains relatively stable at about 400Nm. Since a 36mm restrictor was already in use on the WTCC engine, the Citroën Racing engine specialists were able to get to grips quickly and confidently with the increased output and internal load. This head start has been used to study the slightest details in even greater depth. Alongside the chemical engineers from Total, in-depth work on reducing friction has helped to improve the engine's output and efficiency. More than ever before, reliability was a key concern for the engineers. With a quota of three engines per car for the season, the specification requirements are similar to those of the WTCC, where the powertrain has to last fewer kilometres, but at a higher speed. 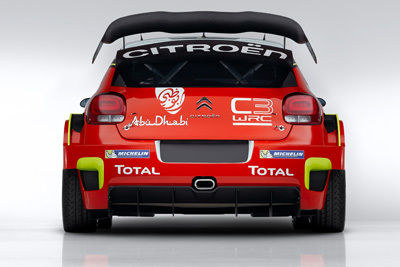 The structural design of the Citroën C3 WRC is similar to that of its predecessors. The production body shell has been cut to accommodate the composite fibre rear spoiler, the roll cage, the transmission tunnel and the subframe supporting the chassis and suspension systems. 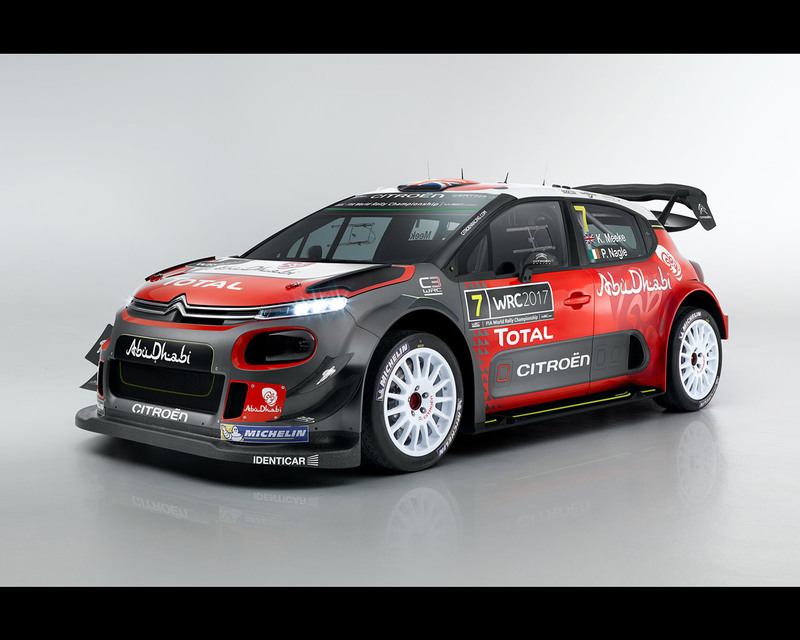 The C3 WRC is Citroën's first World Rally Car to be based on a five-door silhoutte. The rear doors have been taken out, but this configuration nonetheless required substantial work on the car's layout and ergonomics in order to find the optimum position of the crew, taking into account factors such as weight distribution, visibility and safety. This final point remains a central concern for Citroën Racing's engineers and FIA experts alike. There have been no compromises regarding improving the protection of the crew, especially in the event of a side impact. The doors, for example, have now been reinforced with an additional composite fibre layer. They are a bit like a supercharged version of the AirBumps®. The interior of the doors are lined with a high-density foam that is designed to absorb energy, whilst the headrests of the bucket seats now come with new protective mouldings. In terms of details, the 2017 regulations have added freedom in a number of areas. The most visible of these is the increase in maximum width, which has risen to 1,875mm (+55mm), providing more stable handling and new aerodynamic options. A key component regarding traction is the suspension, and this area has undergone some substantial changes. Designed and built by Citroën Racing, the spring-shock absorbers are now tilted to increase travel. Among the major innovations introduced on the C3 WRC, the suspension geometry will be different between the car's tarmac and gravel versions. The four-wheel drive has also undergone a major change, with the return of centrally-controlled hydraulic differential. This system – used on the Xsara and C4 WRC – allows the front and rear axles to rotate at different speeds. By controlling the hydraulic pressure in the central clutch, it is therefore possible to transfer torque from one axle to the other in order to offset understeer and reduce any slippage. The Citroën C3 WRC's muscular and unique design is immediately striking. Like the production of New C3, the WRC bristles with freshness end energy, backed by rugged strength. The aerodynamic changes, made possible by the less restrictive regulations, actively contribute to the performance of the car. The downforce generated by the aerodynamic features help to increase the stability of the car at high speeds, whilst the air vents provide cooling for the engine, the transmission and the brakes. Before settling on the final bodywork design, several versions were tested, as evident by the range of photographs taken over previous months. two-tier front light signature, the double chrome bar underlining the chevrons that extends out to the LED daytime running lights. The centrepiece of the car's aerodynamic performance, the bumper incorporates a splitter and winglets, which generate downforce and reduce understeer. The lower part is different on the tarmac and gravel versions. The air intakes supply cool air to the radiator, the turbo intercooler and the brakes. Hot air is expelled by the air scoops located on the bonnet and at the bottom of the front wings. Looking at the side, the first detail you notice is the floating roof held by the black windscreen pillars. 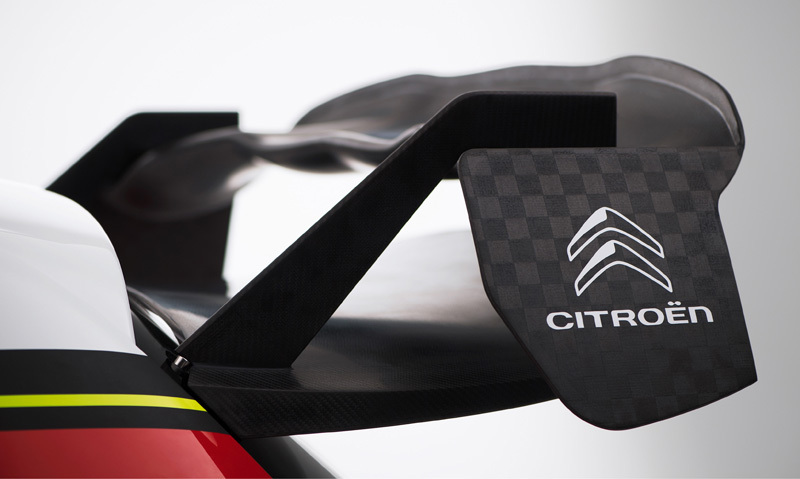 The Citroën C3 WRC’s protective function is shown clearly by the balanced proportion between body panels and glazed surfaces. Lower down, the vehicle stands out thanks to the wide body sills that channel the lateral flow of air. The air vents located on the rear doors are used to cool the brakes and similar to the front, hot air is expelled via the bottom of the wings. The rear bumper has been carefully designed to boost the expulsion of gravel and snow on loose surfaces. These aerodynamic forms are echoed in the 3D rear lights, which lend a unique, high-tech identity to New Citroën C3. Crowned by the centrally-positioned exhaust pipe, the rear diffuser provides even further downforce by expelling the flow of air that passes underneath the car. 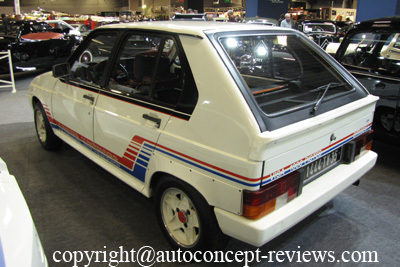 Lastly, a spectacular rear spoiler completes the aerodynamic system. It consists of a lower "shovel" and a more complex upper level. For increased efficiency, the spoiler assembly is set back and raised by 50mm compared with the previous regulations.